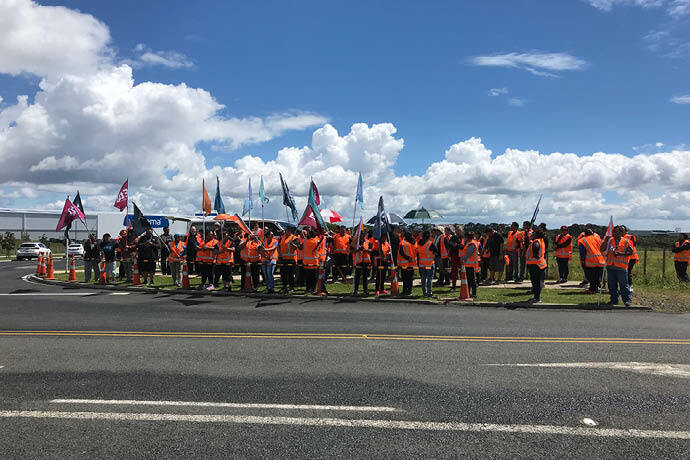 E tū members at Sistema have taken strike action this morning, walking off the job at the giant Auckland plastics factory at 11am. The strike follows a walk-out by nightshift union members from 11pm on Tuesday as workers take action over low pay and poor conditions – issues the company won’t budge on. Striking workers will be picketing at the plant this morning and available for media to speak to. “It’s a hard thing for these workers to take this action, especially so close to Christmas. They work hard for the money,” says E tū Lead Organiser, Mat Danaher. “But they are determined to win a better deal for themselves and their colleagues and are prepared to make sacrifices to do that,” he says.